On June 25, 2011 the Social Security Administration changed the way Social Security Numbers are issued. 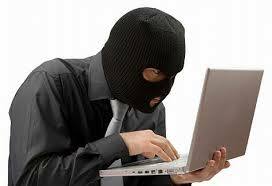 Originally Social Security Numbers reviled information about the owner of that numbers. Here you can learn more about Decoding Social Security Numbers. In order to remove this association between people and their Social Security Numbers the Social Security Administration began issuing numbers randomly. This randomization helped to protect the integrity of Social Security Numbers and extended the life-time of the 9-digit Social Security Number scheme. 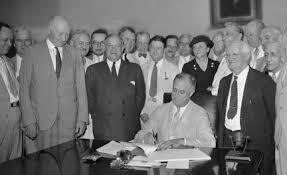 President Roosevelt signing the Social Security Act into law by President Roosevelt on August 14, 1935 in Cabinet Room of the White House. SSNs were intentionally distributed in a way that allows anyone to check when and where a number was issued. The Social Security Administration needed to be able to find all records of Social Security Taxes paid by every American when it came time for that person to retire. Before the invention of computers and the Internet it was very difficult to store, organize and retrieve such vast amounts of data. In order to solve this problem, the SSA decided to have states store Social Security Tax and wage information. The state that issued the SSN would store all records for that person throughout their working life. However, if the person moved throughout their career there had to be way to link the Social Security Number back to the state that issued the number. To link the SSN and the issuing state the Social Security Administration decided to have each state issue a unique range of numbers. This was a clever solution to the difficult problem of managing millions of records across the country 50 years before computers were invented. Once computers were invented the linking of Social Security Numbers to a location no longer needed to be encoded with in the number itself. In fact, this linkage began to backfire for several reasons. First, organizations began to realize the usefulness of a unique identification number for all Americans. Federal, state and local governments as well as employers, schools, and businesses started using Social Security Numbers to track people. Social Security Numbers slowly became a very important piece of information that had to be protected. Additionally, at one time SSNs were only issued when a person got their first job or received Social Security Benefits for the first time. In the 1980, Enumeration of SSNs at Birth became more common because of increased usage of the number. By the end of the 20th century Social Security, many personal record and financial processes such as banking moved computers and then to the Internet. This made tracking Social Security Numbers and wage information easier for the Social Security Administration but it also made crimes such as identity theft much easier and more profitable. Soon anyone could use online tools to find out the first 5 digits of anyone's Social Security Number by knowing only when and where they were born. In addition, the final 4 digits of people's social security numbers are often used as pins, employee identifications or are revealed on documents such as pay stubs while the rest of the number is masked. By combining these two easy to find pieces of information people can find out other's Social Security Number. As a result of these combined factors, SSN randomization had to be done in order to protect the integrity of Social Security Numbers in the future. SSN Randomization also increased how long the current system of 9-digit Socials will last. When SSNs were first issued, each state was given a set of numbers to distribute. At the time it was estimated how many Social Security Numbers each state would need. As populations moved, it was clear that some states would run out of their set of numbers well before other states. In order to extend the longevity of the 9-digit SSN, the SSA took all remaining un-issued social security numbers from each state and now issues new numbers from the combined pool. This eliminates the problem of one state running out of numbers before all of the other states. After randomization, the current Social Security Numbering scheme is sufficient to last at least several generations before we will have to append a 10th digit. Non-randomized social Security Numbers were needed in the 1930's when they were first issued. Over time as technology evolved the need to SSNs to correlate to a state was no longer needed and the information was beginning to be used for identity theft purposes. Randomizing SSNs issued after 2011 does nothing for the millions of Americans issued SSNs before this date but will help to protect the next generation of Americans from unintentionally disclosing their Social Security Numbers.